Oprah Winfrey's Final Show TRIBUTE! 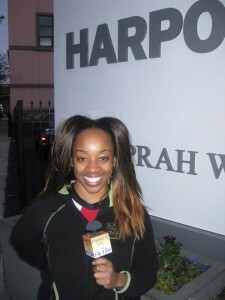 SusieQ FitLife Salutes “The Oprah Winfrey Show” TODAY is Oprah’s FINAL SHOW!! Oprah says her final goodbye TODAY on May, 25th! 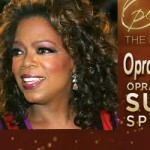 After 25 glorious years on the air, SusieQ FitLife salutes The Oprah Winfrey Show! Hit the road with SusieQ on the Oprah Farewell Chicago journey watching “Confessions of an ARMED Celebrity Fitness Trainer!” Witness the serious challenges; throughout SusieQ’s quest to meet Oprah on sheer faith! Watch what Oprah Winfrey has to say about Susie in her own words! Ironically, Oprah Winfrey’s was advised by her News Mgr (in her early years) to change her name from Oprah to Susie, to make her more memorable and likeable to viewers. Oprah exclaims! “Hi, Susie!”. Ms. Winfrey says “Susie, is so friendly! You can’t be angry with Susie!” What a news flash! It’s quite profound! So glad, Oprah stood by the use of her real name and her true identity! SusieQ FitLife Salutes "The Oprah Winfrey Show!" Oprah’s Farewell star-studded bash! Having faced over-booked bus transfers and arriving over 6hrs late to the event without a ticket, SusieQ had to devise a plan! Being recognized, while making new friends and interviewed by Chicago-Reporter, Dean Richards on 9WGN TV to speak about the Oprah-mania experience was more sugar-free icing on the low-fat cake! This segment is all about your FitLife! SusieQ’s mission is to share the intimate secrets about herself, and how it can benefit your FitLife! On the heels of interviewing Tyrese & DeVon Franklin (Hollywood Movie Executive & Author of “Produced by Faith” and creator of “Jumping the Broom”); SusieQ decided that she must follow the advice that she shares with everyone. SusieQ sheds many layers as you will see when you witness her confessions! Everyone’s personal journey may be exhausting and trying at times. However, you will meet wonderful people along the way! Plus, you give yourself the opportunity to share your positive and personal message with the universe. Ultimately, failure is experienced when you fail to attempt to even try to reach your goal. The outcome of having met your goal is not the true measure of success. When you fail time and time again, you actually become stronger and wiser during the process! This is a part of your journey that makes you, who you are today! Does rejection ever feel good? Oh yes, that’s right! Rejection never feels good; but that is no excuse to not make the effort to try and achieve your goal, because you will never know the end result! Be true to yourself! First & foremost, never-ever give up on your dream! 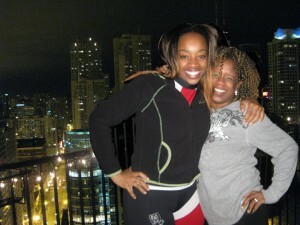 Camille & SusieQ Meet on FB: Oprah Night in Chicago! 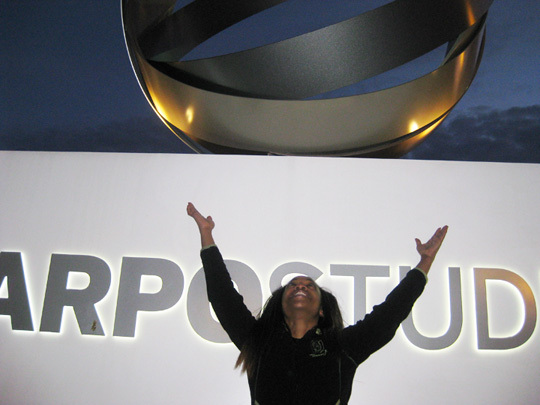 Life after the Oprah Show is not something that many of us look forward to… Careers were launched, spirits would soar and inspiration would be found! Yes, you can still tune in to the OWN channel to get a piece of that “O” power! Realistically, essentially and individually, we must have the willingness to work on our own and continue to watch OWN for continued sound wisdom! Oprah! We love you girl! Your show is already deeply missed, although the last broadcast is set to air in a few hours! See you soon! Special thanks to Camille in Chicago for welcoming SusieQ from Facebook Friendship to real life hospitality! Who said you can’t have REAL Facebook FRIENDS? Camille & her husband opened up their beautiful home and shared in abundance a lot of “Watch Your Mouth” “FitLife” food. They are about to launch their brand new fitness company “Sweat Motivation!” SusieQ FitLife will post links and info as it becomes available! Thank you, for the overwhelming poll response to: Will SusieQ meet Oprah Winfrey? Results are on the page link below! "O" Achieve Your Dreams! Have a Ball & Get a FitLife!